When I have the time, I try to make a new recipe and if possible, try to use ingredients from my garden. I should say that it is not a full American style garden, but instead a small container garden that I absolutely love. Last week I decided that I wanted to make spicy pickles, you know the pickles that Chili’s serve. Last time I was back in the States I couldn’t get enough of them. So I looked online, watched videos and still could not locate the exact recipe, but I think I came close. I used the recipe that Pixelated Crumb posted. Thanks! Recipe posted below or go directly to their site. I used just over a pound of cucumbers that I had in my garden and all the other ingredient I actually found here in Switzerland. As you will see, it is quite difficult to use American recipes in Switzerland because it is near impossible to find all the ingredients needed, but we can save that for a later date. I spilt the recipe in half, however I think when I make it again I would add a little less salt. The pickles are ready to start eating after 24 hours and they are delicious! Enjoy! 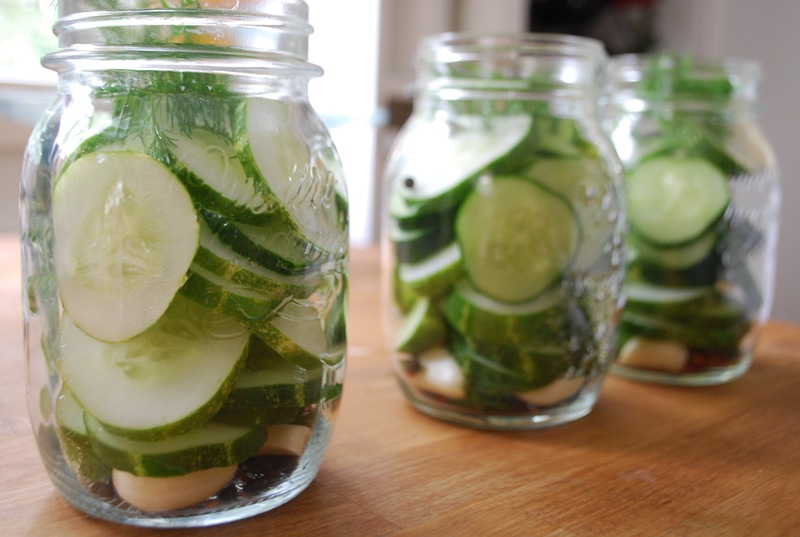 Pour the brine over the cucumbers and cover the jar(s). 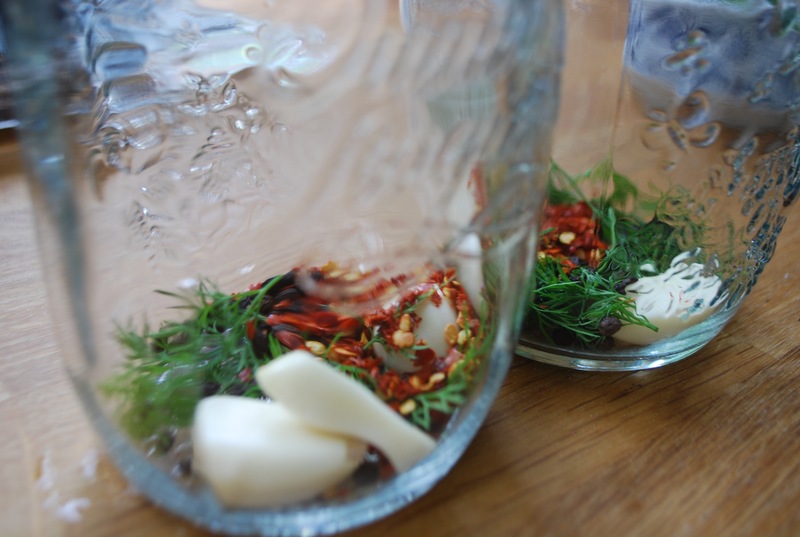 Let the jars sit on your counter, but not in direct sunlight until cooled, about an hour, and then put them in the fridge. 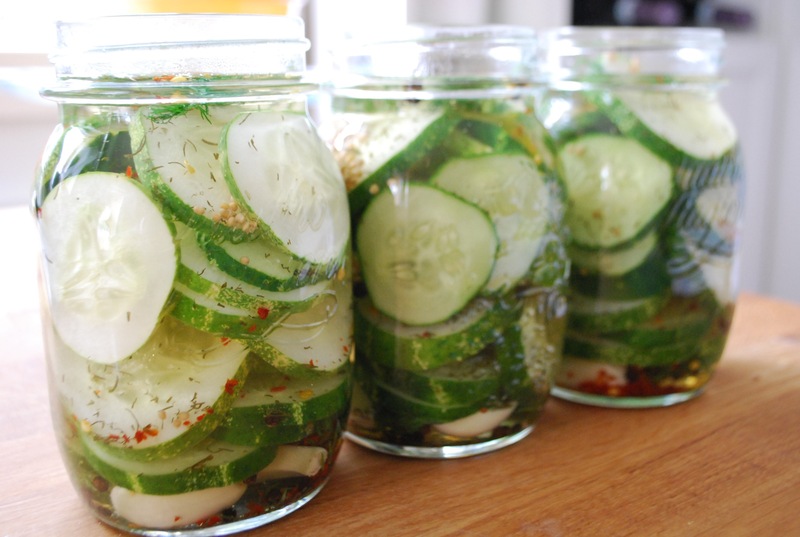 The cucumbers will have begun pickling after 24 hours, but wait a full week if you want them to be fully pickled. They will last for 4-6 weeks in the fridge.